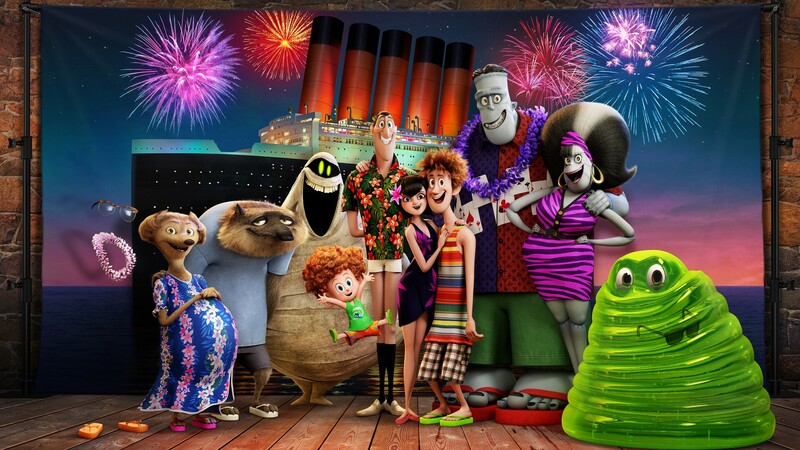 Hotel Transylvania 3 is just a money grab off what has been a successful movie franchise. There are numerous music and dancing sequences that seem only to exist to get the movie to the 97 minute mark. Not nearly as funny as the first 2, nor as heartwarming. Extremely cheesy writing. Initial Reaction: Who wants to sign up for this vacation? Darcula: Yeah, that guy. He’s voiced by Adam Sandler. Captain Ericka: Captain of the cruise ship Legacy. She’s voiced by Kathryn Hahn. Dracula’s getting frazzled under the pressure of running his hotel, so his daughter Mavis gets him and the other monsters out of the hotel for a much needed vacation – on a cruise ship. Problem is, Ericka is just putting on a farce. She really hates monsters and is looking for a way to get rid of them – permanently. These two separate are really good. I like Dracula as a worn out guy in need of a vacation and I like Ericka when she pretends to be nice when she actually isn’t. This is one film they hope the audience doesn’t think about the plot because it’s got one large hole in it.